IN THE FEDERAL BUILDING, AT THE CORNER OF SPRING ST. AND HIGH ST. NO FREE ON SITE PARKING AVAILABLE, PARKING METERS/ PAY LOTS AVAILABLE. The Columbus Social Security office is located in Columbus 43215. The following page includes information for this location like the office phone number, hours of operation and driving directions. If you have any interests or comments about your retirement benefits or are interested in making an appointment, call the following Columbus Social Security office. The Columbus Social Security office is located in Columbus 43215. The following page has information for this location like the office phone number, hours of operation and driving directions. 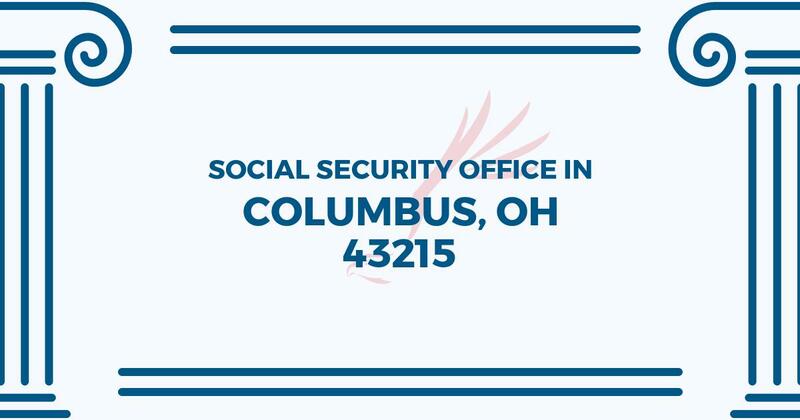 If you have any requests or comments about your retirement benefits or are interested in scheduling an appointment, call the following Columbus Social Security office. I had visit the social security office on High Street and Spring on Friday June 22, 2018. My wait time was less than 20 mins before I was called. The service was very quick and the employees was very mannered. I would recommend this office to anyone anytime.